Eavestroughs and guttering form a very important part of your house structure. So much so, that without them, your home would likely suffer from regular flooding and other damage. It should be surprising then, that most of us don’t pay much attention at all to our eavestrough installations, only remembering them when they need repairs or maintenance. Yet, if we had given them the consideration they deserve in the first place, there’s a good chance that they would need much less maintenance and fewer repairs. Should I Opt for a Seamless or Regular Eavestrough Installation? If you are looking for a DIY project – Traditional eavestrough installations are made up of separate gutter parts, which simply need joining together. 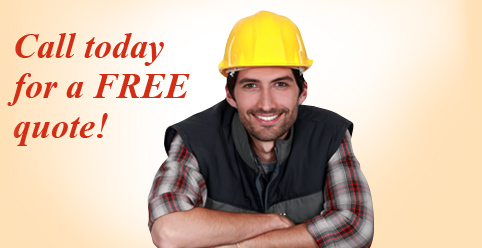 This can make it relatively simple for you to join and assemble at home, thus keeping down additional labour costs. The trade-off is that these gutters are more prone to blockages and require much more maintenance than their seamless counterparts. If you are looking for low-maintenance eavestroughs – Seamless gutters are formed from one continuous piece of material, without joints. They are made to fit your house perfectly, and this means that they are able to do their job with minimal complications. 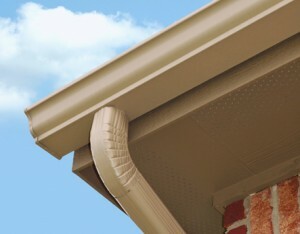 As there is no way for debris to be caught between joints, there is no strain on the guttering. This means they need less cleaning and will last much longer than a traditional eavestrough installation. If you are concerned about safety – It is very wise to consider the state of your guttering as a potential hazard to your well-being. At the end of winter, we will undoubtedly see scores of households around Milton, Oakville, Burlington and the Toronto area, reeling from damage caused by broken eavestrough installation There are many things that can go wrong, which are then compounded by the cold weather. Even a minor buildup of leaves in late fall, can accumulate debris, freeze and cause flooding. Even more catastrophic results can come about when blockages drop into the drains and cause a buildup of water, which results in cracked pipes as outside temperatures rise. By using a seamless installation, the likelihood of suffering from such problems is vastly reduced. When you have budget concerns – People can be surprised at the amounts they are quoted for new installations and baulk at the idea of spending a large amount on guttering. If you simply can’t finance a seamless installation right now, you’ll probably end up going with traditional gutters. However, in the long run, traditional gutters will probably end up costing you just as much, and take up more of your time. If you can afford the initial outlay, it’s often better to go with a new seamless installation and enjoy the peace of mind it gives you. The good news is that you have already taken the first step, in that you are paying attention to your guttering and considering which solution works best for you. Consider the amount of time you are willing to spend on maintenance, plus any future costs and compare them with the upfront costs of an all-new guttering installation. This will help you to make the right choice for your home.